While I never met my Great Grandmother Johanna Cosgrove Furlong (b. 1826-d. 1892 -County Crolow, Ireland), she must have been a strong, self-reliant, and confident woman. She immigrated to Iowa via New York, Indiana, and finally settled with her husband John Furlong in “76” Township (Ardon, IA) in 1855. She gave birth to eight children and, with her husband, homesteaded the 40 acres where Ardon Creek now sits. It was a pririe back then that I imagine was covered with the clover & violets that still flourish today. 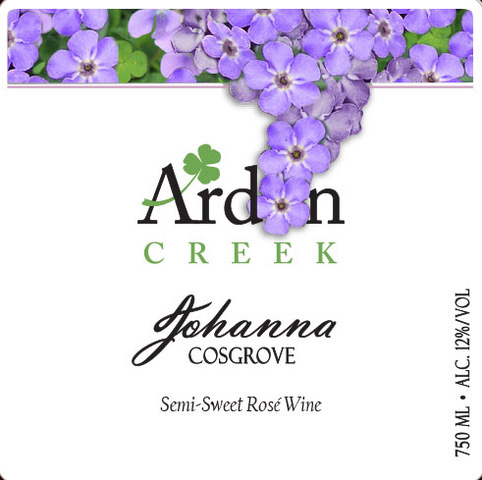 Our Johanna wine is dedicated to women on their way to realizing their hopes, dreams and aspirations, not unlike my Great Grandmother Johanna Cosgrove Furlong!